Throughout the journey you'll come up against a host of deadly denizens and fierce foes, each with their own set of magical skills just waiting to challenge you. If you can defeat them with your skills and Match 3 might, you might one day reach the Frozen Mountains to claim your reward. But be warned there are choices ahead of you on your journey and which path you take will ultimately determine your fate! Free Game features: - Breathtaking visuals and effects; - Huge variety of unique enemies; - Vast quest map to complete; - Purchase upgrades from the shop with diamonds. 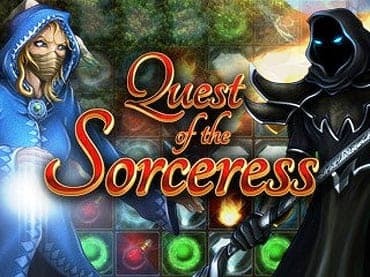 If you have questions about Quest of the Sorceress game, please contact us using this form.